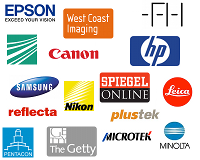 LaserSoft Imaging is renowned worldwide as a pioneer in the field of scanner and digital imaging software - both in the area of private and professional usage. The core product SilverFast® manages to regularly come up with advanced technical innovations. Physicist and visionary Karl-Heinz Zahorsky founded LaserSoft Imaging in 1986 and developed the concept of SilverFast in 1994. Today, Mr. Zahorsky, who was involved in the early initiation of desktop imaging and color management, is the Chief Executive Officer of LaserSoft Imaging. K.H. Zahorsky is also a professional aviator with numerous flights across the Atlantic in a single engine Mooney and Piper Malibu. Follow some of his flights here: www.zahorsky.net LaserSoft Imaging's headquarters is located in the baltic city of Kiel, the capital of the most northern German federal state of Schleswig-Holstein. Kiel is also known as the European sailing city with international annual sailing events. A subsidiary for the Americas was opened in Sarasota, Florida, in 1997. The SilverFast range of products includes software for scanners, digital cameras, printers and for HDR imaging, as well as several specialized solutions. LaserSoft Imaging produces very high quality targets for IT8 color calibration. 1986 - LaserSoft Imaging begins - the company foundation by Mr. Karl-Heinz Zahorsky. 1987 - Start of color processing on the computer with the video digitizer ProViz from Pixelogic, USA. LaserSoft Imaging becomes distribution partner for Europe. 1989 - LaserSoft Imaging provides advice for Canon and promotes their Still-Video, a predecessor to digital cameras. The RC760 was used in the field of newspaper publishing. LaserSoft Imaging becomes consultant for Hell AG in the area of new desktop technologies for color processing. 1990 - LaserSoft Imaging takes over the distribution of Riplink, a system for connecting the Hell Chromacom image processing system to the Mac. 1991 - LaserSoft Imaging becomes a privately-held company (GmbH), for development and distribution. 1994 - First stages of development for scanner software SilverFast. 1995 - The presentation of SilverFast Ai v.1 at the Hannover CeBIT fair. The Epson GT9000 is the first scanner delivered with SilverFast included. 1996 - SilverFast v.2 is released. 1997 - Continuous expansion, a subsidiary in Florida opens. SilverFast v.3 is on the market featuring prepress color tools and 2-level user interface (high-end and entry-level in one software). Additionaly, SilverFast PhotoCD, SilverFast DC and SilverFast HDR are introduced. 1998 - SilverFast v.4 with IT8 calibration is released. 2000 - Presentation of SilverFast v.5 with many new functions such as Multi-Sampling. New version: SilverFast SE. 2001 - SilverFast v.5.5 is ready, featuring NegaFix and a JobManager. 2002 - LaserSoft Imaging is transformed into a private stock company. Further, SilverFast v.6 with many new and improved features is released. 2004 - SilverFast SE Plus, Ai Studio und SilverFast DC Pro are introduced on the CeBit fair. "SilverFast - The Official Book" is getting popular. 2005 - SilverFast PrinTao is new as well as the SilverFast support for high-end Heidelberg (Linotype) drum scanners. 2006 - SilverFast v.6.5 comes up with notedly improved iSRD® infrared dust and scratch removal. 2008 - Patents granted for the auto IT8 calibration and SilverFast Multi-Exposure®. 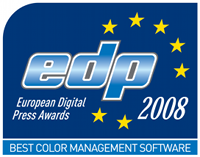 SilverFast receives the EDP award for the "best color management software of the year 2008". 2009 - SilverFast 64bit support and HDRi as valuable features for the Archive Suite. 2010 - Development of the Resolution Target (USAF 1951) and participation in the German Programme for the Future-Economy (ZPW). With its SilverFast OfficeScanner devices LaserSoft Imaging successfully establishes a combination of hard- and software for the German digital system for passport creation. 2011 - The new generation: As a completely new development scanner software SilverFast 8 is released. In addition to the newly designed user interface the WorkflowPilot is introduced as an important core element. 2012 - Digital imaging software SilverFast HDR also released in new version 8. 2013 - Launch of printing solution PrinTao 8 for Epson and Canon large format printers. 2014 - New SilverFast Archive Suite 8 including Virtual Light Table VLT and support for the DNG RAW data format. 2015 - SilverFast v.8.5 including a re-developed JobManager, the JobMonitor iPhone App, a new raw data format HDRi RAW and the ICC Printer Calibration. LaserSoft Imaging is premium partner of the WTSH "Schleswig-Holstein. Germany's True North." partner program. The WTSH is an important contact for business development and technology transfer in Schleswig-Holstein, Germany's northernmost state. 2016 - Many new developments for SilverFast 8.8: ColorServer, SRDx and Clone-Tool. 2017 - LaserSoft Imaging attends the 1st World Market Leader Forum in Louisenlund. Ongoing product range development resulting in support for new scanners (SilverFast 8.8), printers (PrinTao 8) and Photoshop versions (SRDx). Founder and CEO Karl-Heinz Zahorsky rounds the earth in Piper Malibu. 2018 - Development of "Advanced Scanner Calibration" incl. new targets according to ISO 12641-2 (candidate).